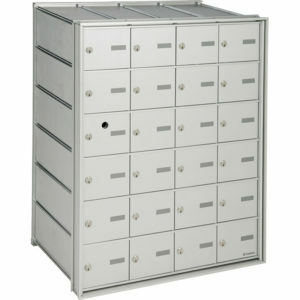 For individual compartments: cylinder lock with 2 keys. 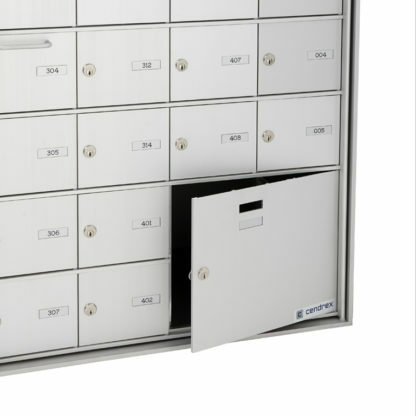 Keyed differently.|For parcel compartments: Unique key that must be placed in the key return slot once the person has received their parcel. 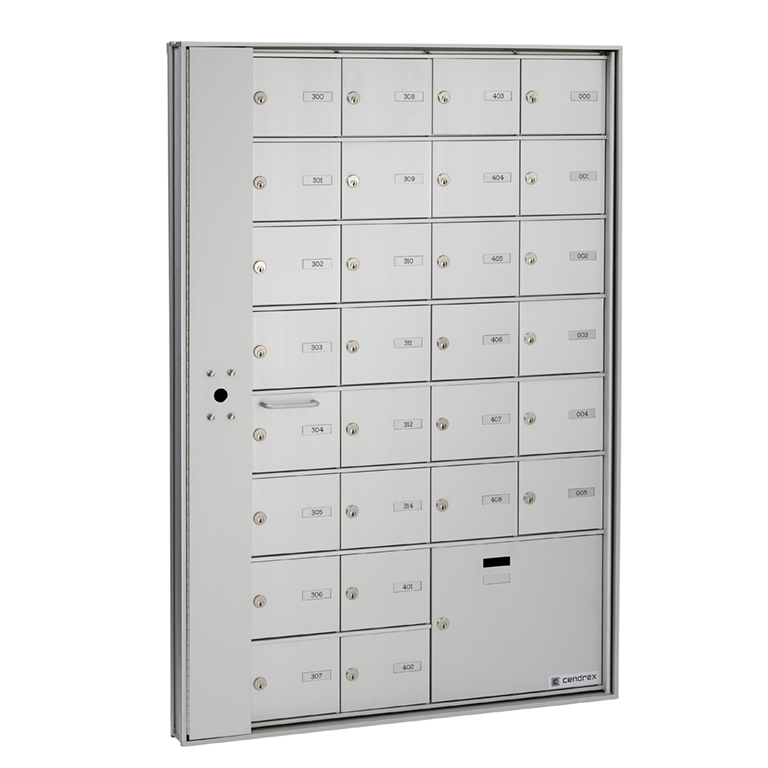 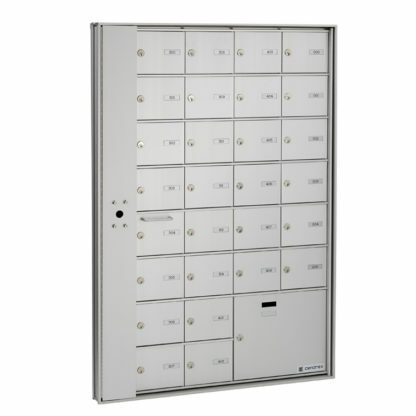 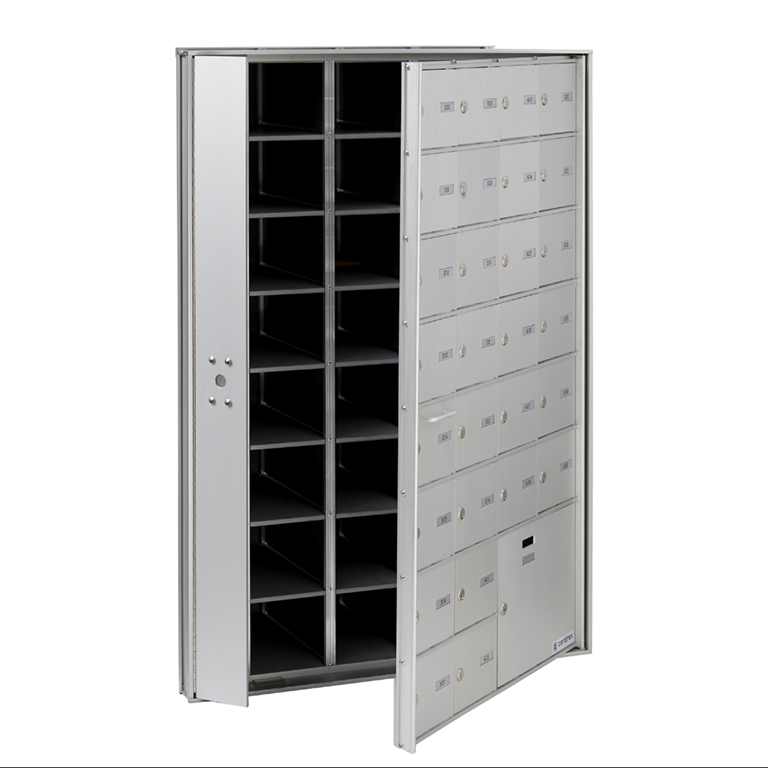 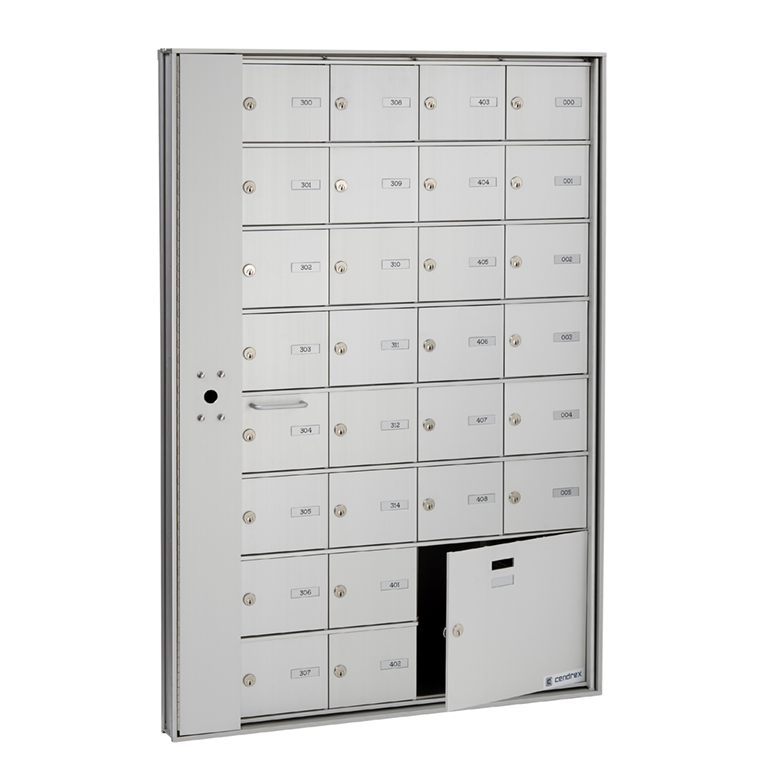 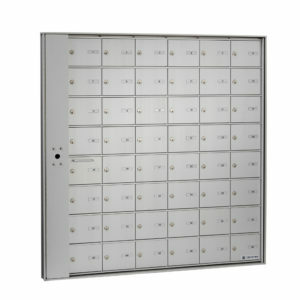 High-security locking panel is designed to accomodate a master lock provided by Canada Post. The locking panel avoids the lost of an individual compartment dedicated the master lock installation.